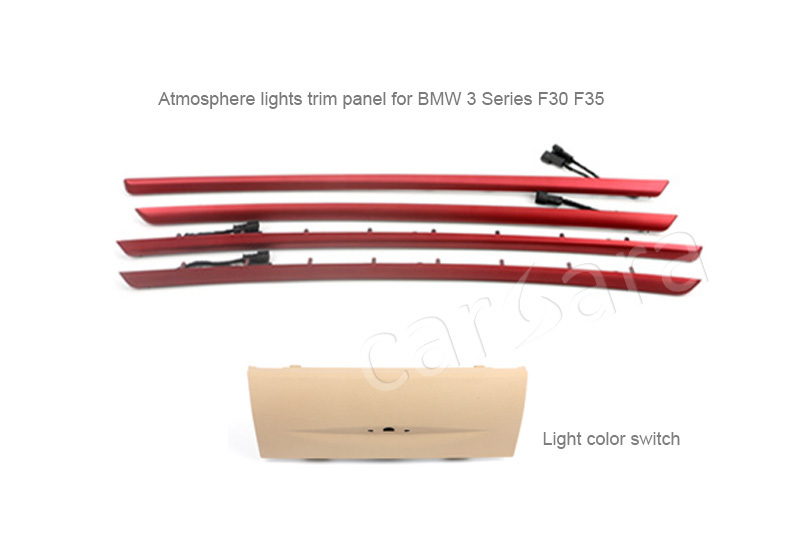 This sets of atmosphere lights is for installing on BMW 3 Series F30 or F35. 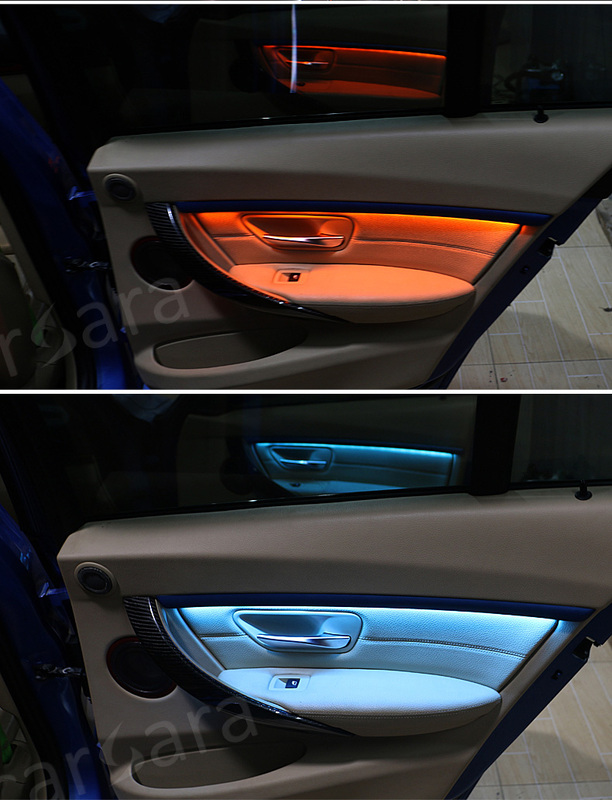 Two colors of the lights:orange and ice blue which can be switched. 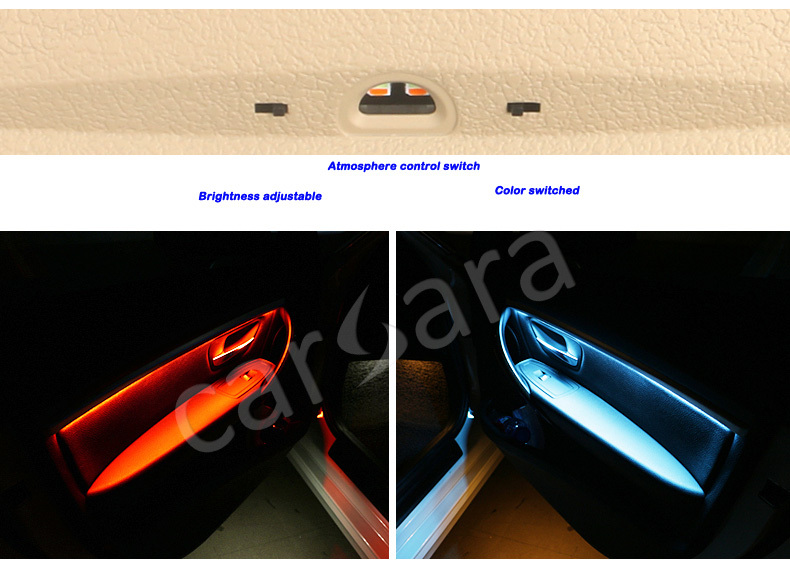 Can change the color and brightness directly via the light color switch control panel. 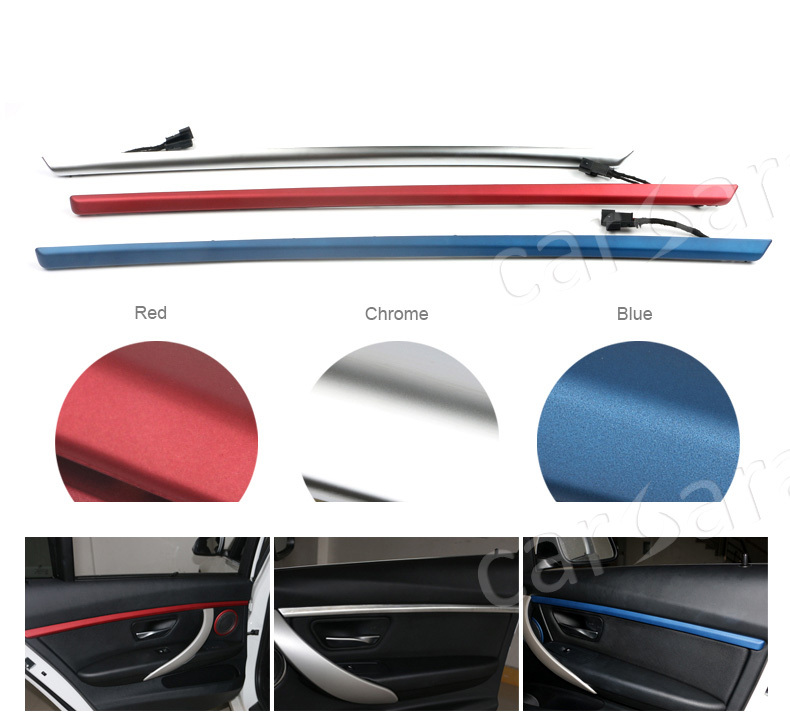 There are 3 optional colors for the trim: chrome, blue, and red. 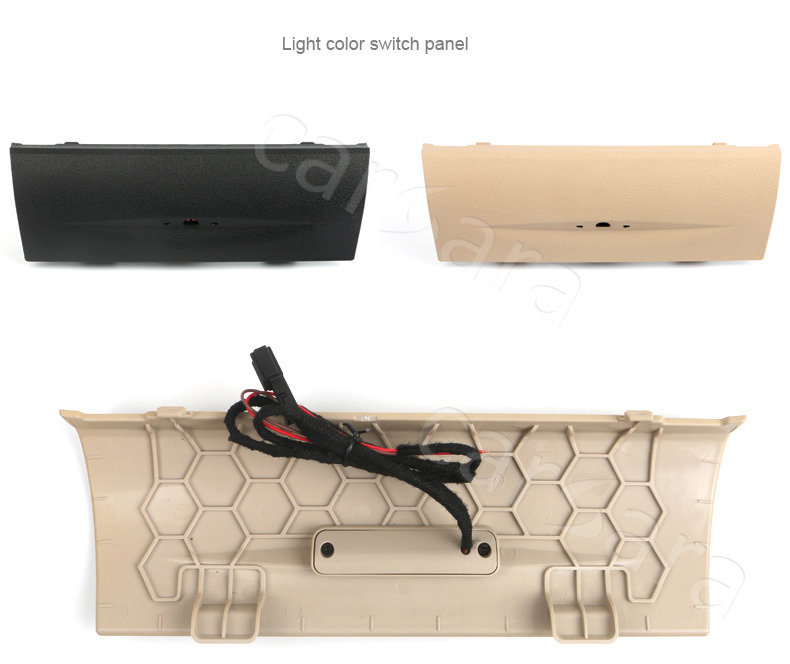 4 pieces of trim panel and 1 light color switch panel. 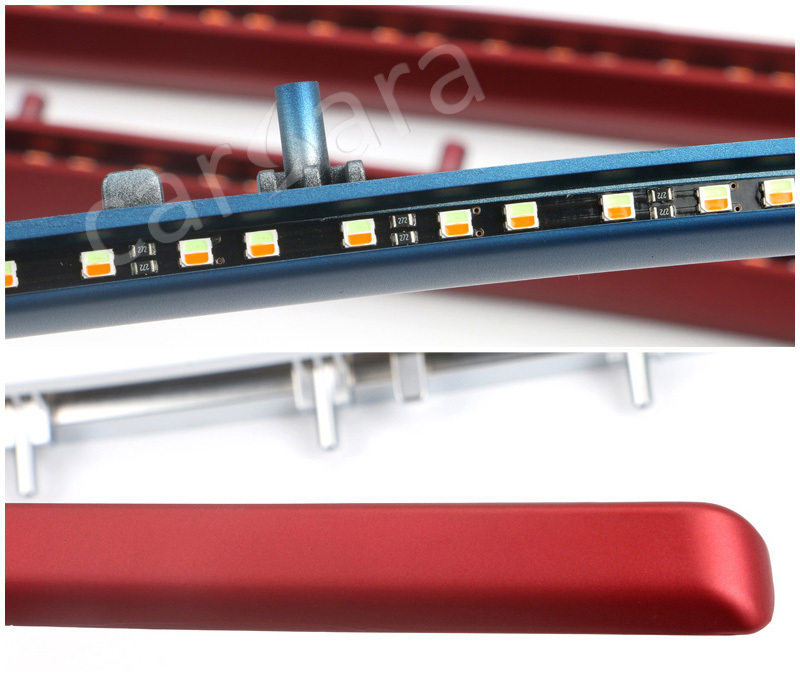 Looking for ideal BMW 4 Doors Led Atmosphere Lights Manufacturer & supplier ? We have a wide selection at great prices to help you get creative. 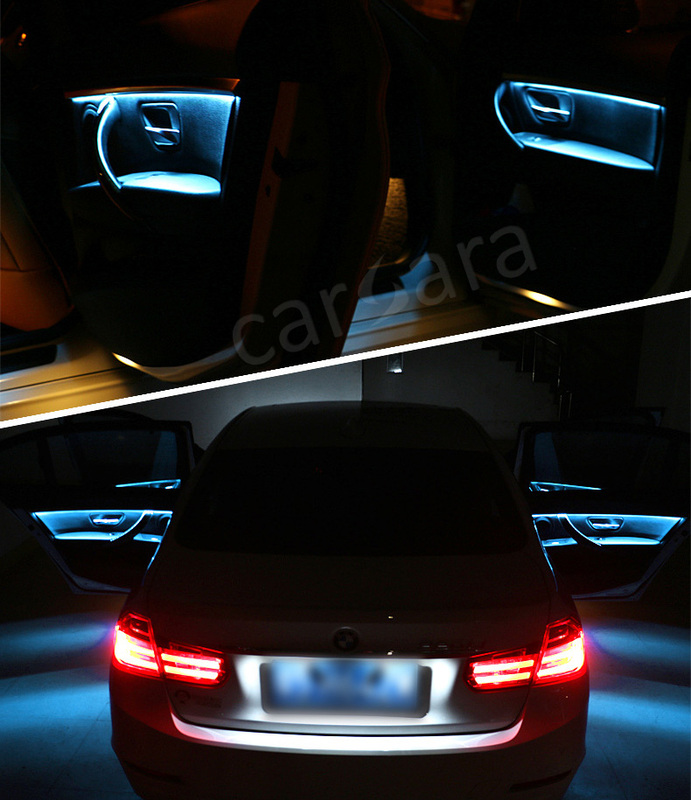 All the Decoration Led Lights on BMW F30 are quality guaranteed. 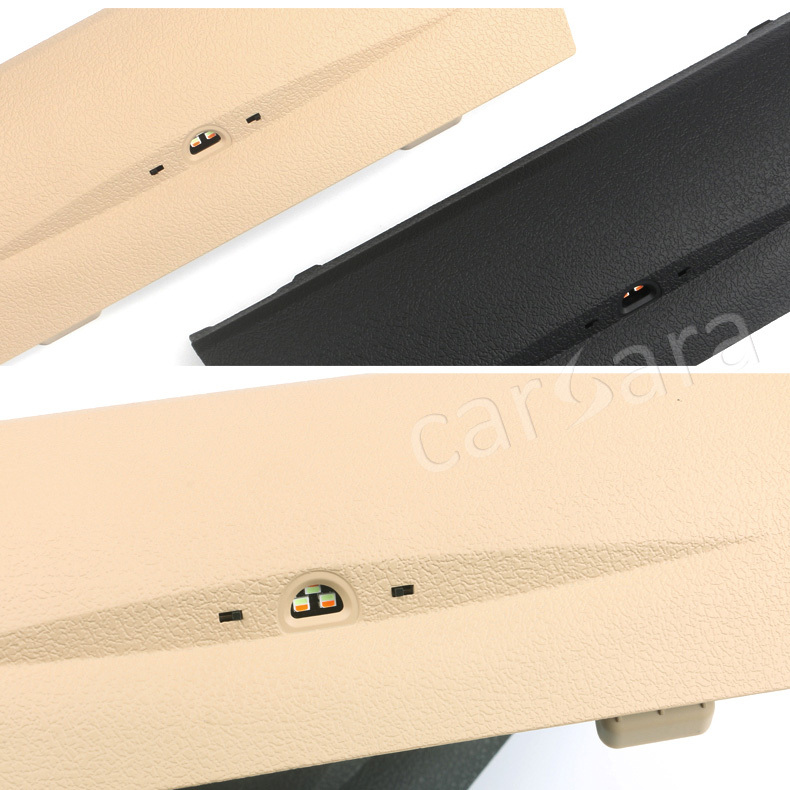 We are China Origin Factory of Interior Atmosphere Lamp for BMW 3. If you have any question, please feel free to contact us.